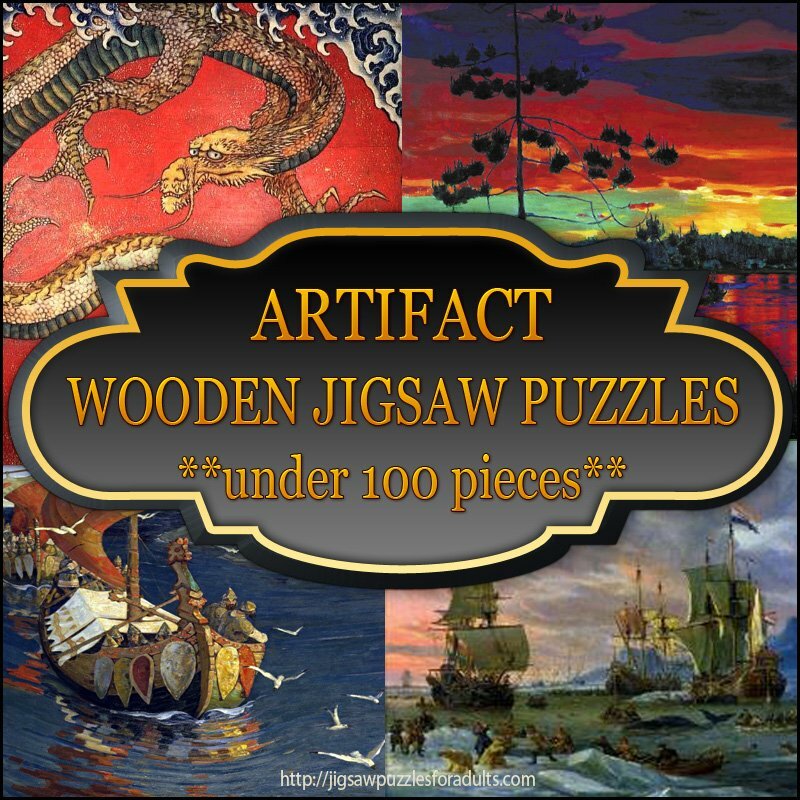 Are you looking for Artifact Wooden Puzzles Under 100 Pieces? 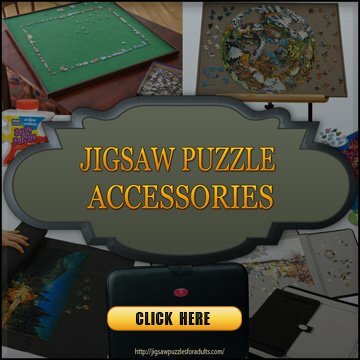 You’ll find a really nice selection of beautiful Artifact wooden puzzles that have less than 100 jigsaw puzzle pieces. 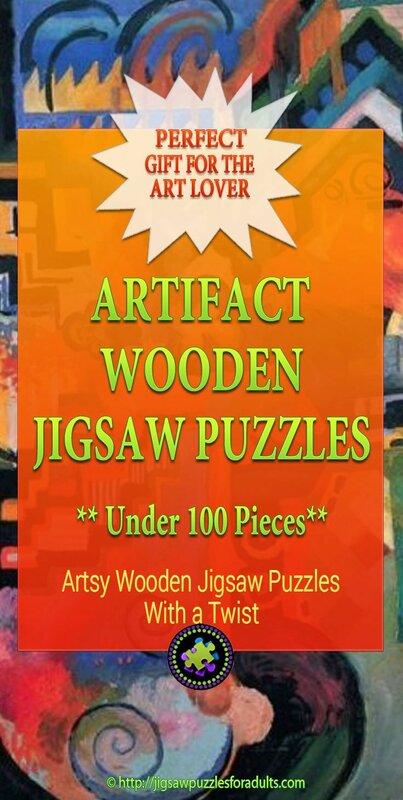 You’ll find that the quality control is excellent on these Artifact wooden Jigsaw puzzles. You’ll find that the handcrafted laser-cut jigsaw puzzle pieces to be perfectly cut and the nice thing about Artifact is that you’ll find that the puzzle pieces are always smooth with no splinters or chips. 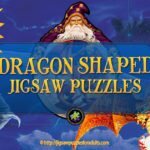 This Artifact puzzle – Hokusai Dragon Wooden Jigsaw Puzzle is made up of 81 laser-cut wooden jigsaw pieces and measures 7 inches by 7 inches when completed. 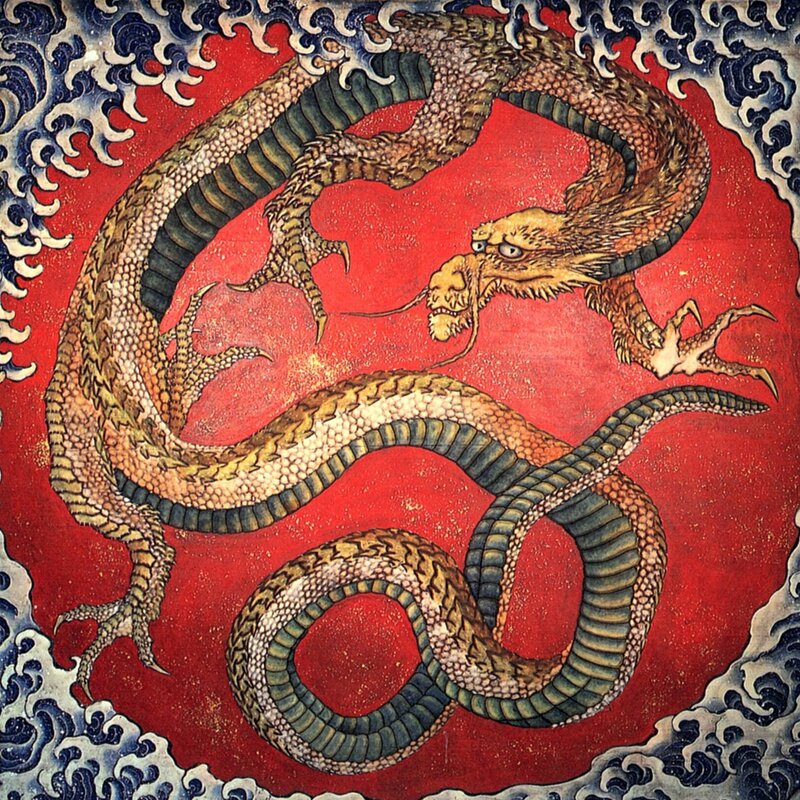 The original dragon was created by a Japanese woodblock artist by the name of Hokusai, and believed to be made in 1830. 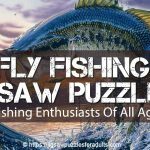 You’ll find that is one of the small but challenging artifact wooden puzzles under 100 pieces that super fun to do. 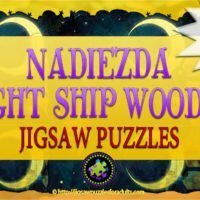 If you love Artifact Puzzles or if you are new to working on wooden puzzles this puzzle is a real gem! 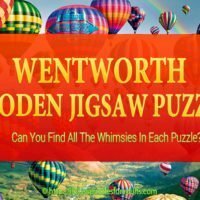 It’s a fun 96 piece wooden jigsaw puzzle with plenty of decorative whimsy puzzle pieces. 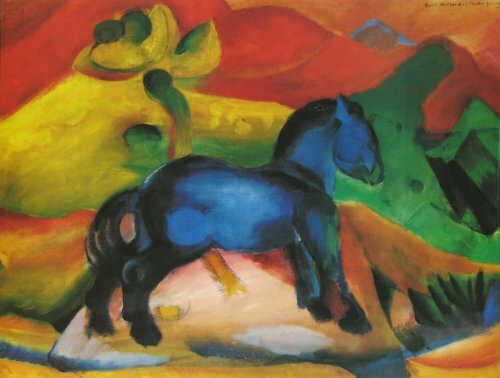 The picture that is displayed on the puzzle was painted in 1912 by the German expressionist Franz Marc. 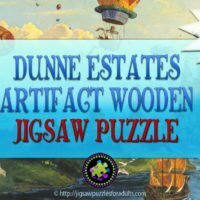 The wooden puzzle pieces were designed by Maria Berg a Seattle . 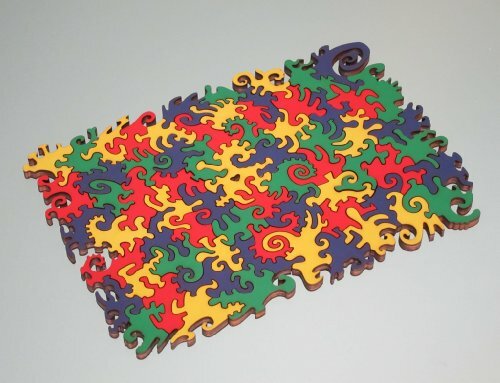 All Artifact wooden puzzles are made of 1/4″ thick wood that are laser-cut. 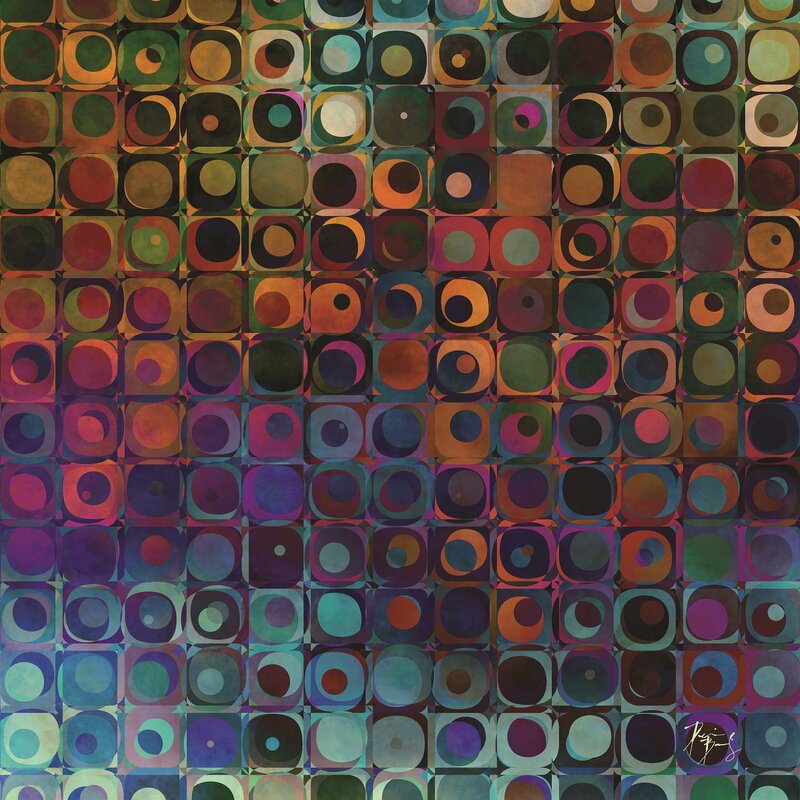 This is a 65 piece Artifact wooden jigsaw puzzle of a digital artwork by Dennis Brady measures 11 inchess by 11 inches when finished. 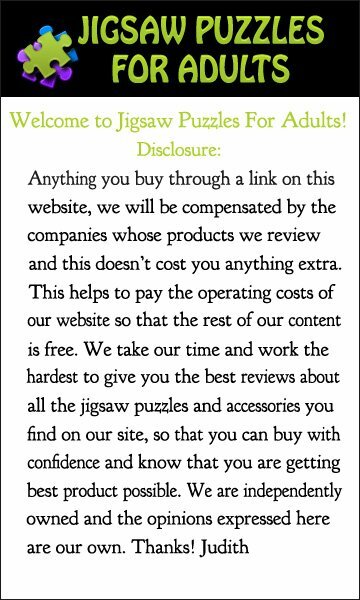 You’ll find that this wooden jigsaw puzzle does not have any straight edge pieces. 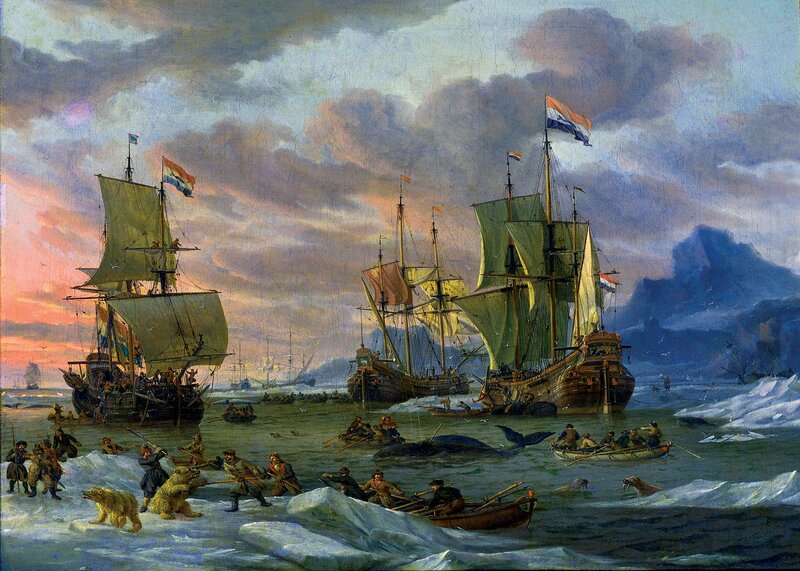 This Arctic Wooden Jigsaw Puzzle is made up of 76 wooden jigsaw puzzle pieces and is a classic example of 17th century Dutch Baroque maritime painting by Abraham Storck, and shows whalers in the arctic fighting with polar bears. 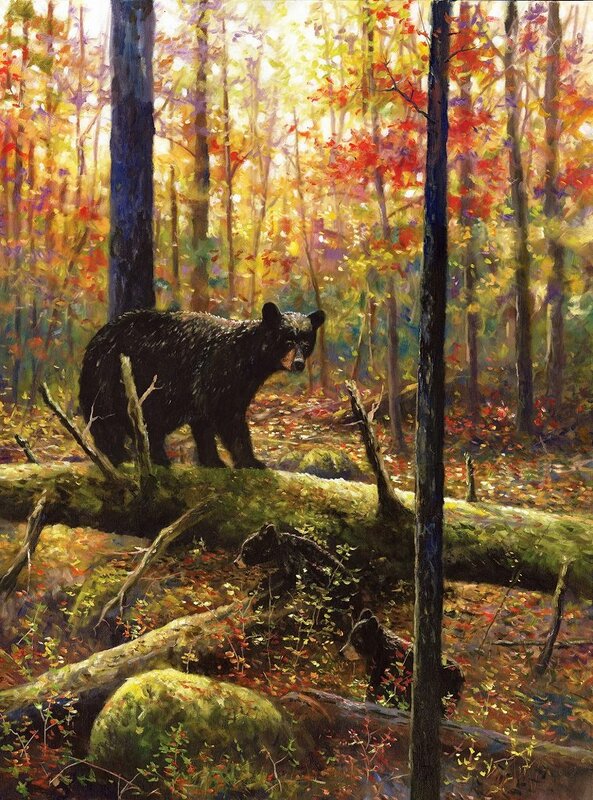 This beautiful puzzle features marine mammal whimsies by that were designed by Tara Flannery a Seattle artist . All Artifact puzzles are made with 1/4″ wood and they come packaged in a small box with magnetic clasp. 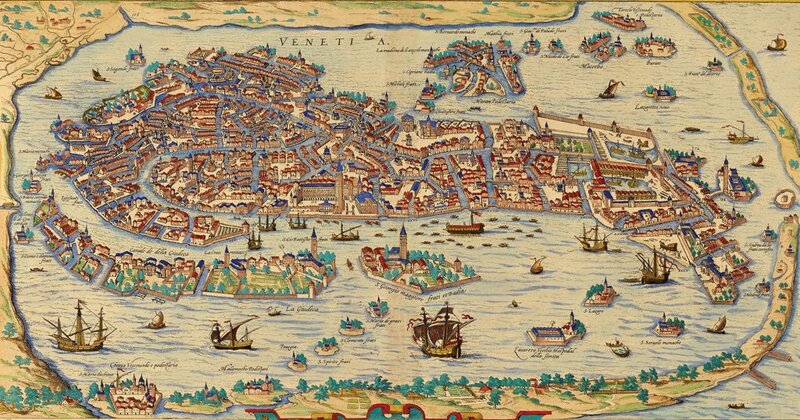 This Artifact 91 piece wooden puzzle is a map of 16th century Venice. 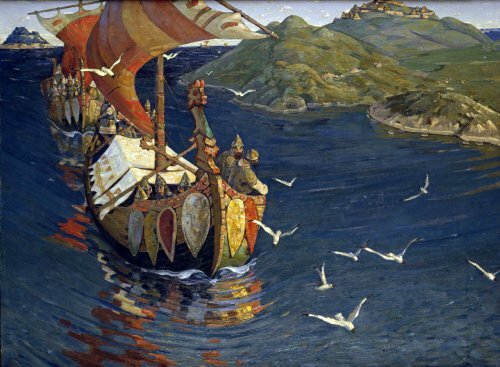 It is believed that it dates back to 1565, and was by Bolognino Zaltieri. 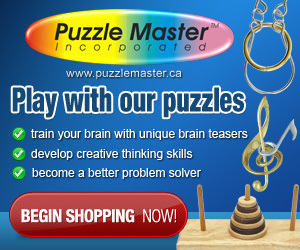 Artifact made the puzzle a challenge for adults, by making most of the connectors interchangeable and the pieces are square, so if you purchase this puzzle you will have to pay careful attention to the image. The puzzle also features a whimsy piece of the famous Lion of St. Mark, a symbol of Venice. 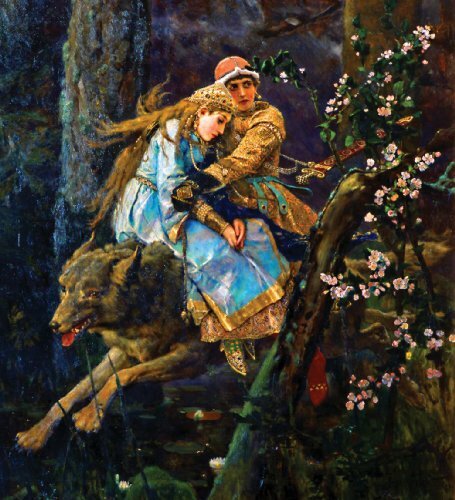 The finished puzzle measures 10 inches by 5.25 inches and comes in comes in a small wooden box with a magnetic clasp. 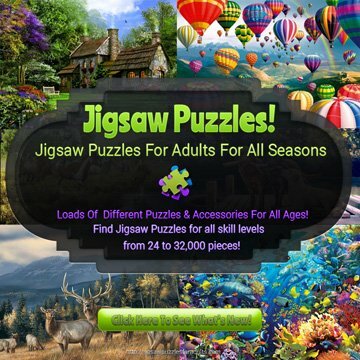 Artifact Puzzles – Robert Tino Out for Adventure Jigsaw Puzzle is made up of 82 jigsaw pieces and measures 5 inches by 7 inches when completed. 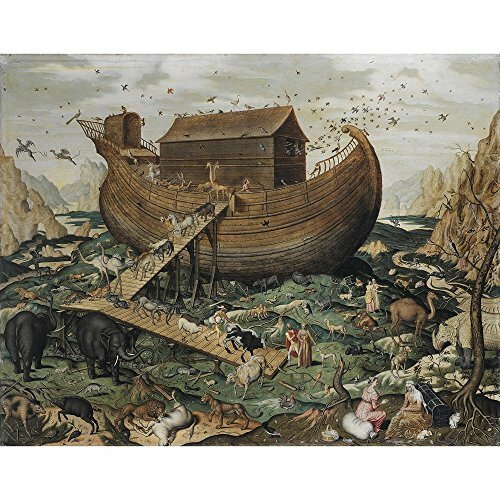 If you love Robert A.Tinos art you want this beautiful small but challenging wooden jigsaw puzzle by Artifact. 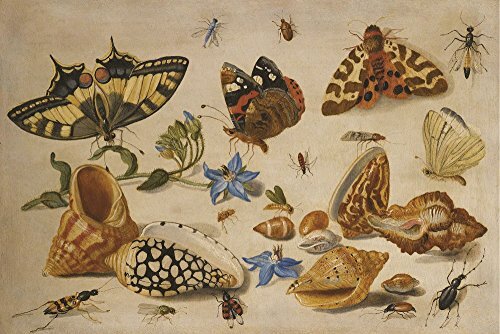 This Artifact Puzzles – August Macke Double-Sided Farbige Wooden Jigsaw Puzzle is made up of 79 jigsaw pieces and measures 7 inches by 8.5 inches when finished. You might find this puzzle a bit challenging because the same image appears on both sides (rotated). 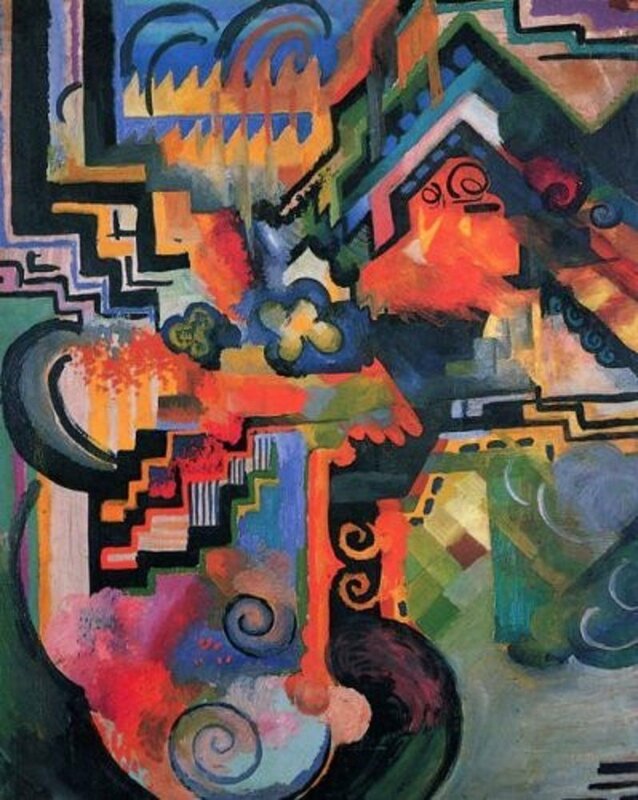 It’s said that this German Expressionist painting by August Macke in 1912 was a homage to Johann Sebastian Bach. 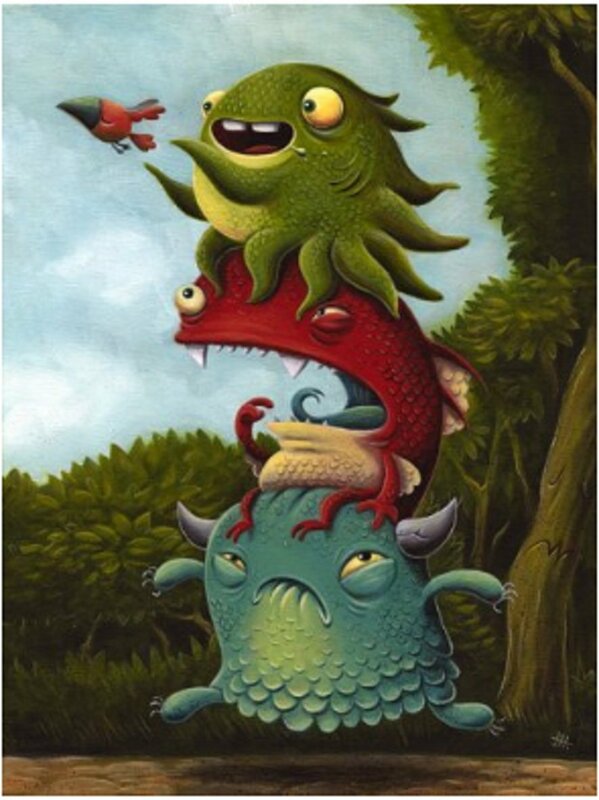 Artifact Puzzles – Justin Hillgrove Big Pieces Pursuit of Happiness Wooden Jigsaw Puzzle is made up of 72 laser-cut wooden jigsaw pieces and measures 9 inches by 12 inches when finished. 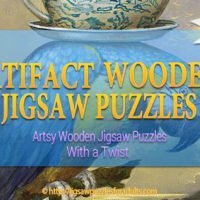 If you appreciate unique jigsaw puzzles that are artful and excellent quality, or if you are new to working on wooden jigsaw puzzles you’ll find these Artifact Wooden Puzzles Under 100 Pieces really affordable and I believe that they will become a treasured addition to your collection. Once you try one of these Artifact puzzles I’m sure that you will want to collect them all.